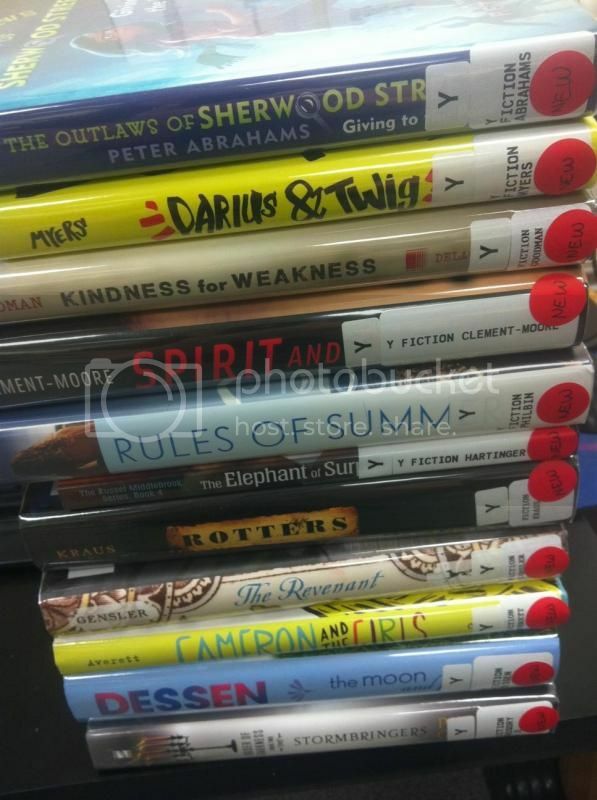 I'm adding this group of books to the shelves this week at my library. I can't wait to see how quickly they check out. My money's on Rules of Summer by Joanna Philbin being a popular read, and I'm shocked this new Sarah Dessen title The Moon and More didn't have holds on it already.